Many people are drawn to the Bichon Frise breed of dog because they are cute dogs with friendly personalities. However, it is important to know all of the pros and cons of having a Bichon before you commit to owning one. 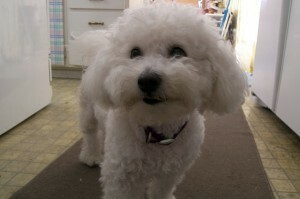 An obvious plus to having a Bichon dog is that their fluffy white fur and cute face makes them visually appealing. Their mannerisms — such as their tendency to tilt their head to the side while listening to you — also contribute to their cuteness. 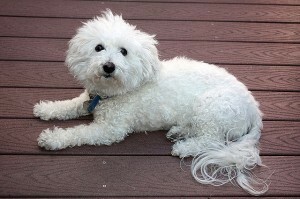 A Bichon Frise is also very playful and enjoys playing games like tug-of-war and fetching toys. During the day, a Bishon will often gravitate to the room of the house where people are sitting or laying and look for a comfortable spot next to someone where they can snuggle. At night, Bichons are able to sleep on their own but they always prefer sleeping with someone if they are allowed. 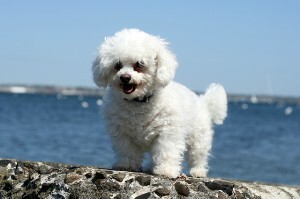 A Bichon Frise dog is very patient and makes a great companion for children and older people alike. Bichons don’t shed and are hypoallergenic. This makes them a great option for people who have wanted a dog but have avoided getting one due to allergies. Since they don’t shed, there’s no need to worry about cleaning dog hair off your clothes and furniture — which is a huge benefit compared to most other dog breeds. 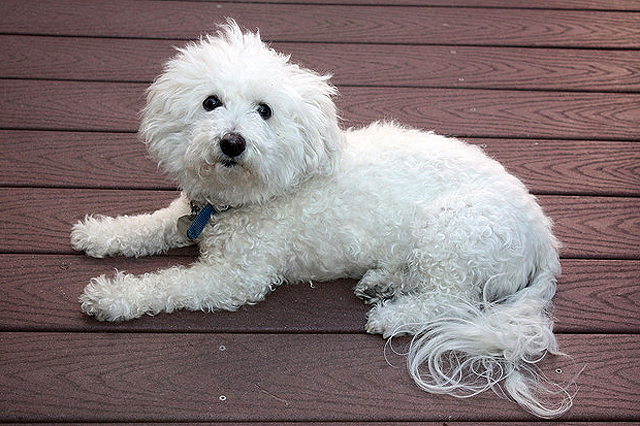 The Bichon breed is also really intelligent and understands a lot more than most dog breeds. They can be taught tricks fairly easily and they often understand what is going on based on observing behavior around them. Keep in mind that Bichons prefer positive affirmation while being trained, and they will often retreat if they are scolded. 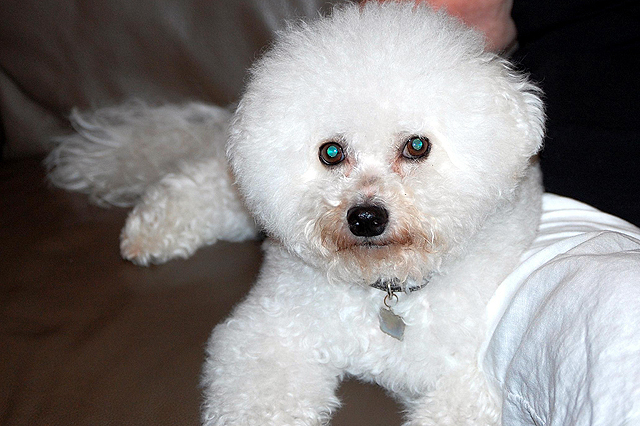 The Bichon Frise is not a loud dog, nor a yappy dog that barks a lot. Since it’s a small dog that requires relatively little exercise, a Bishon is perfect for those who live in apartments or don’t have a huge yards. Bichon Frise dogs generally have a long lifespan and can live up to 17 years of age. 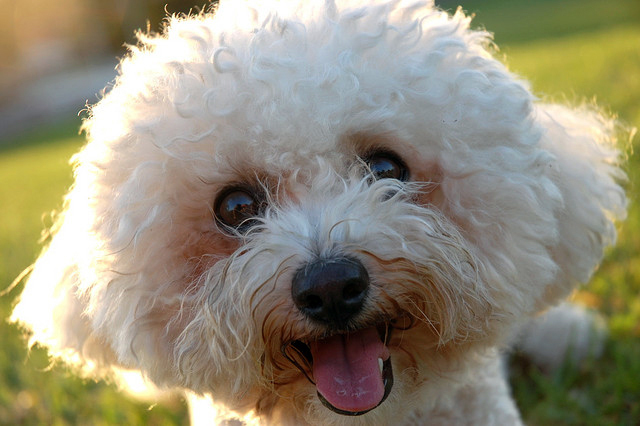 Many larger breeds have life expectancies of less than 10 years, so the longer lifespan of a Bichon dog can be a big benefit if you’re wanting a long-term companion. 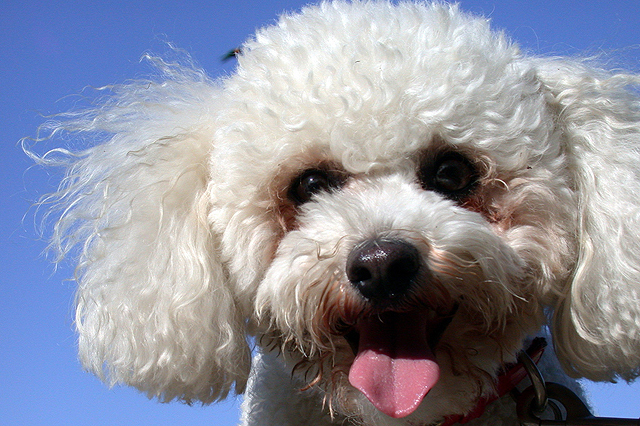 Although there are many pros to having a Bichon Frise dog, the cons are also important to note. 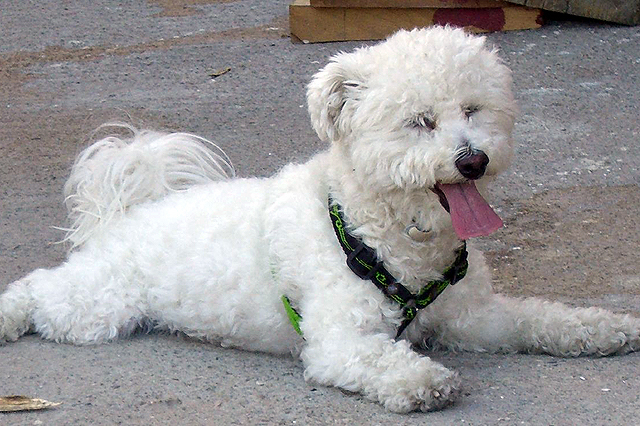 Probably the most common problem with Bichons is difficulty in housebreaking. In fact, this is likely the biggest reason why so many Bichons end up in shelters. Consistency and patience are required when dealing with Bichons. Just know that the house training process may take longer than it would for other dog breeds. 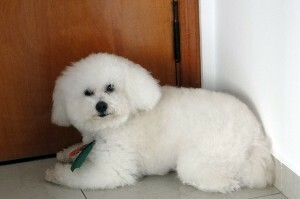 Another difficulty with Bichons is the same thing that makes them so cute: their fluffy white fur. The problem is that it takes a lot of work to keep their fur looking so good. 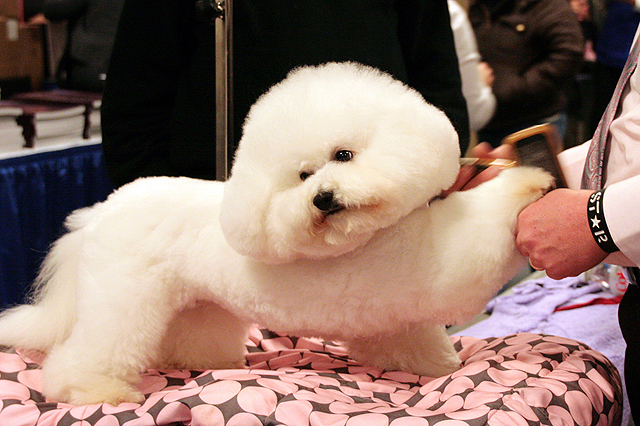 Matted hair is common in a Bichon dog, so frequent brushing is required. Grooming is suggested every 6 weeks or so — which can be costly. 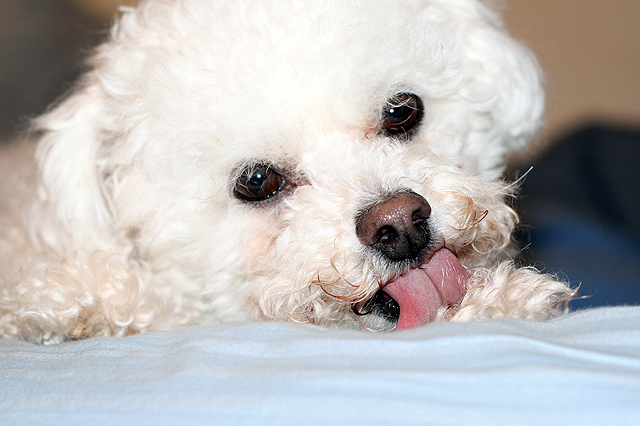 Cleaning their tear stains is also something that can be inconvenient to Bichon Frise owners. Their white fur gets really stained near their eyes, and that area must be cleaned frequently. 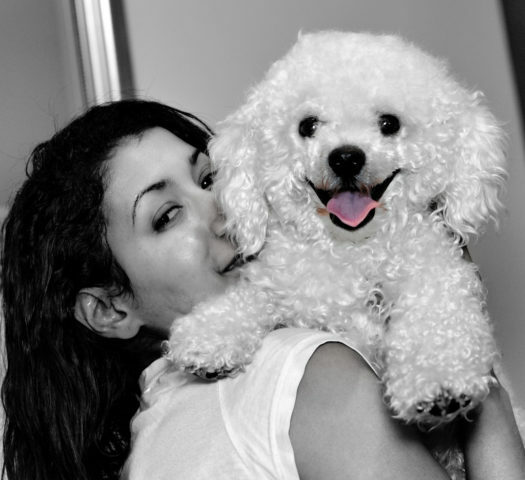 The friendliness of Bichons can also sometimes be a problem because they don’t like to be left alone. Separation anxiety can be a real issue for them. They definitely prefer having an owner who has plenty of time to spend with them. 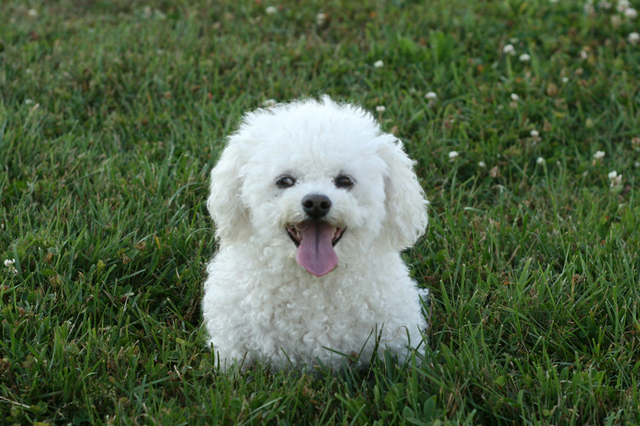 Lastly, Bichons are prone to various health issues. They often have skin problems, can have serious reactions to fleas, and may have a lot of itching during dry weather. They are also prone to other health issues — such as bladder stones — that can lead to many veterinarian visits. TIP: Health issues can often be avoided by choosing a reputable breeder, so take the time to do some research prior to purchasing a Bichon Frise. There are many pros and cons to owning a Bichon Frise dog, but if you are willing to tolerate the potential issues, then you will likely be very satisfied with having a pet that is affectionate, smart, and loves spending lots of time with you!